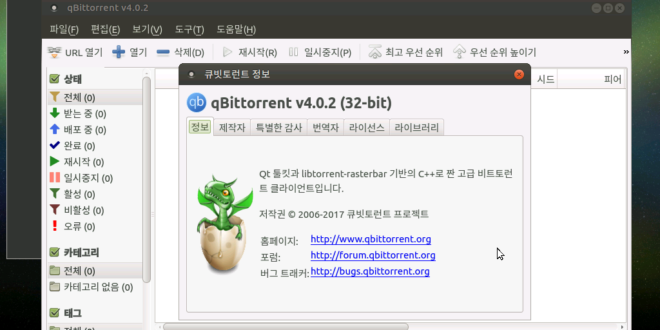 지원 언어, 운영체제 등을 확인한다. 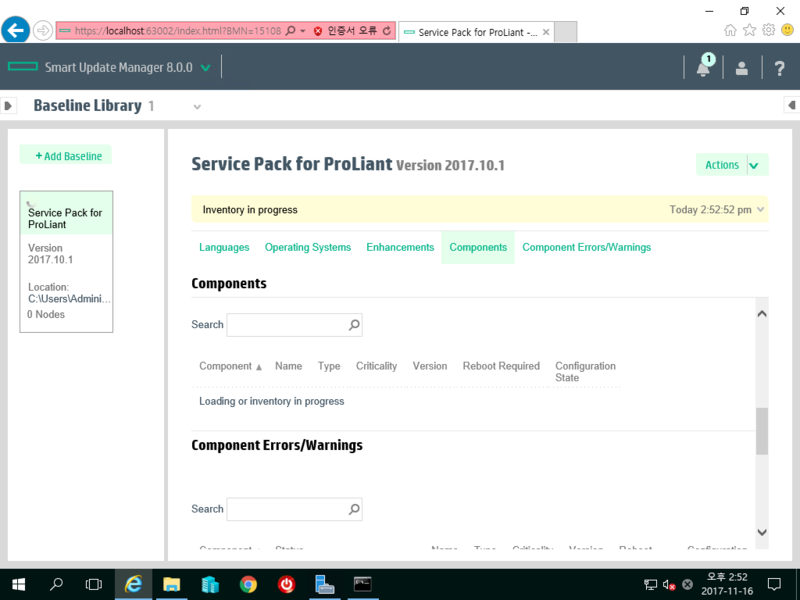 Inventory in progress 작업이 자동으로 끝날때까지 기다린다. 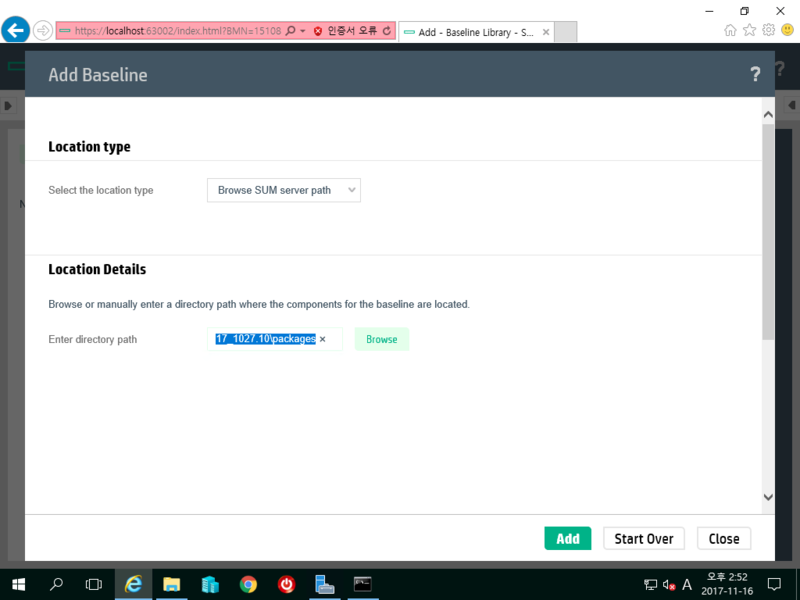 Baseline successfully added 메시지를 확인. 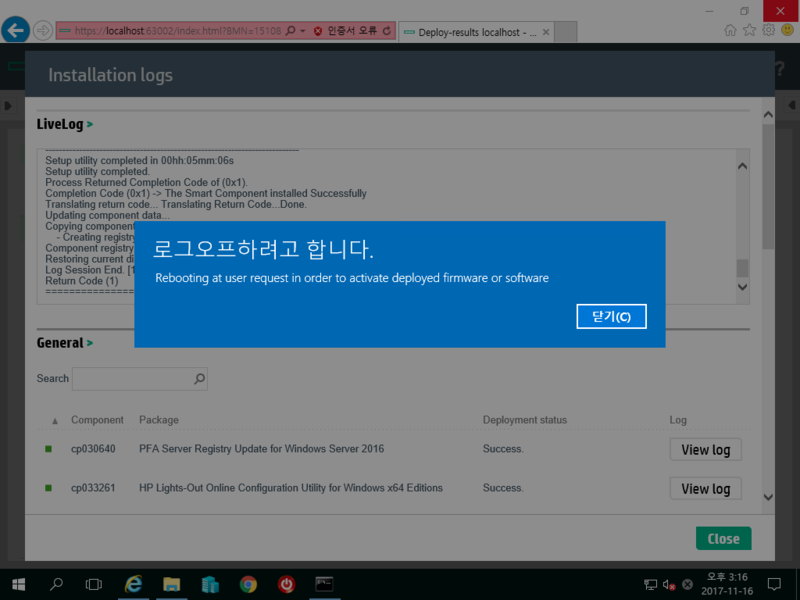 Component not signed 메시지가 있지만 무시한다. 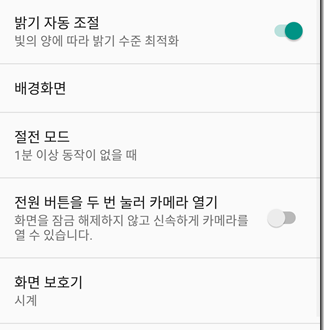 어떤 파일을 처리하고 있는지 보여준다. 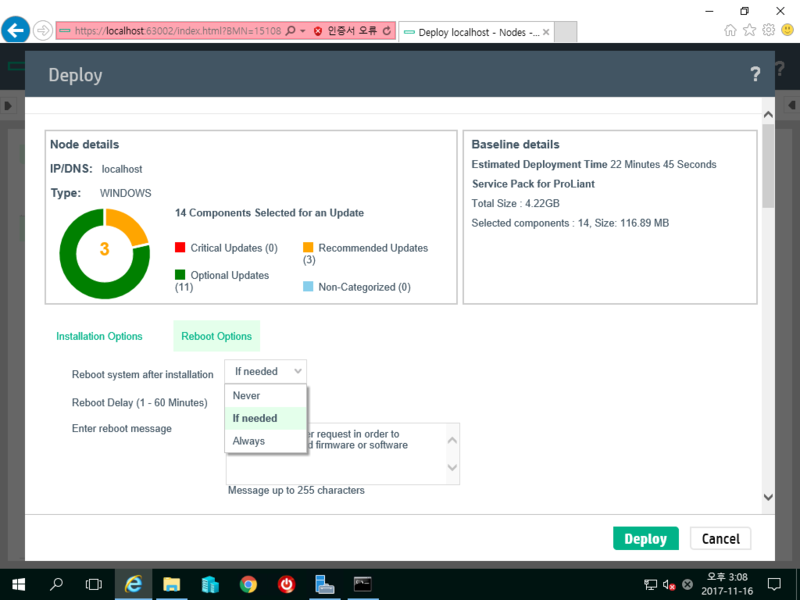 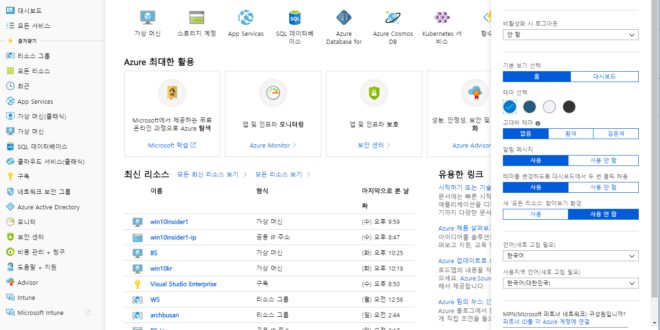 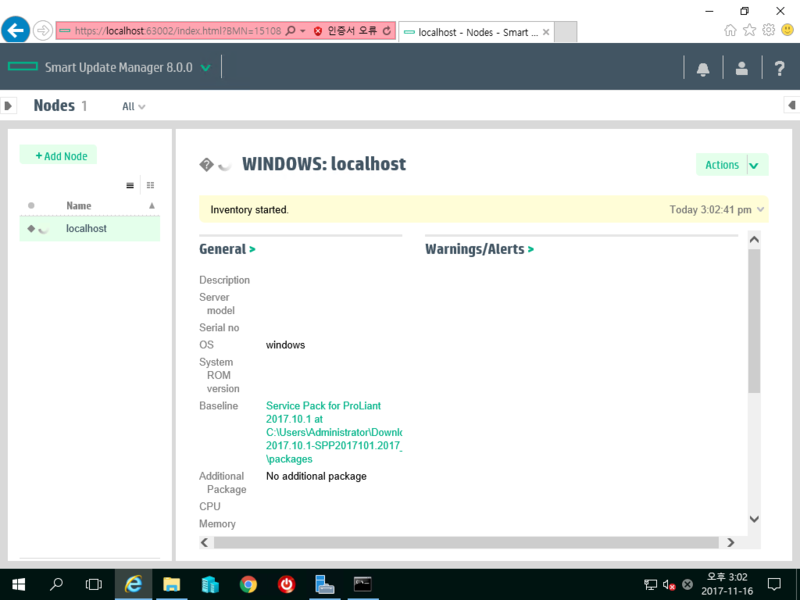 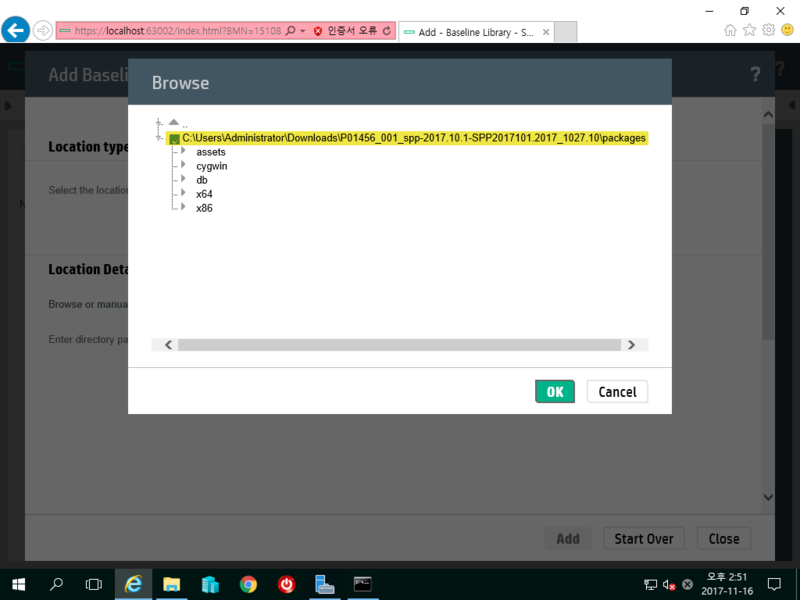 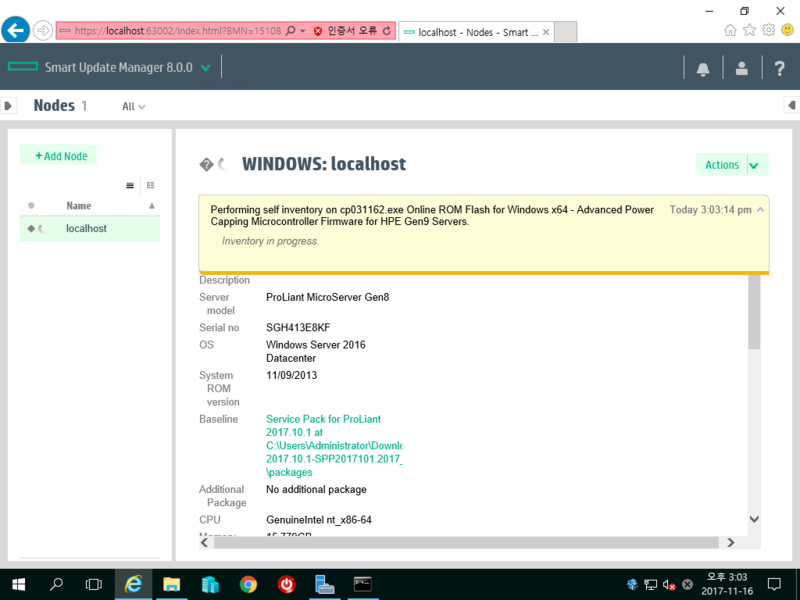 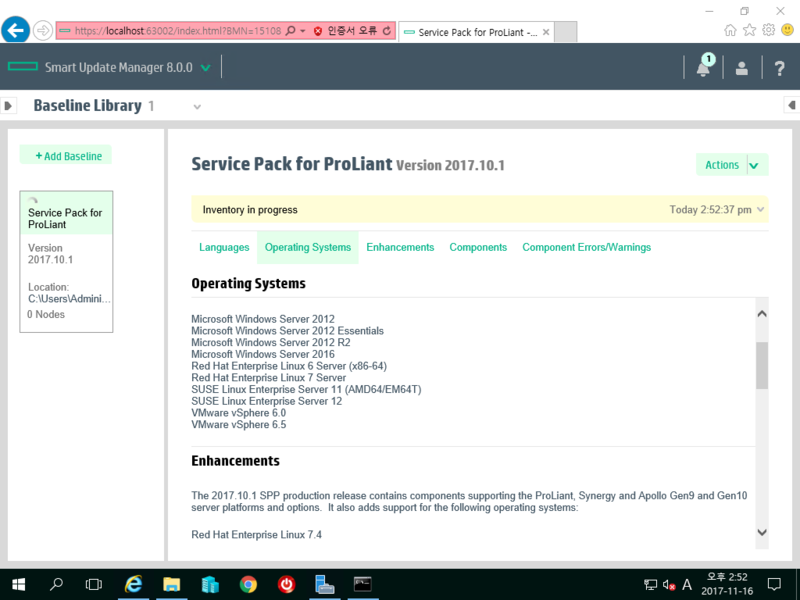 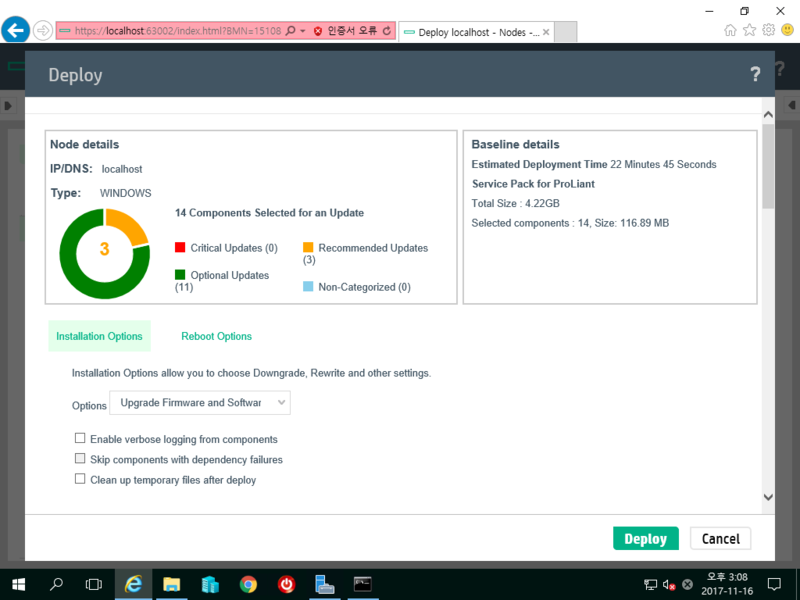 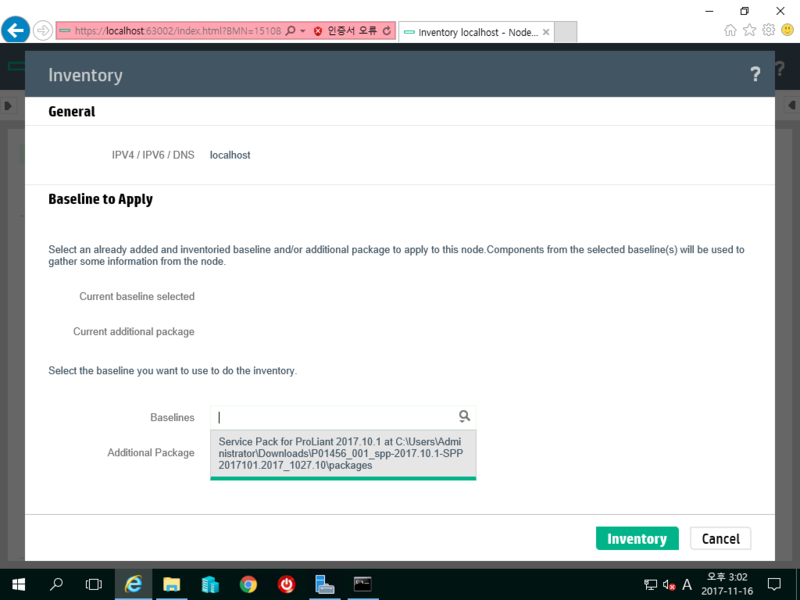 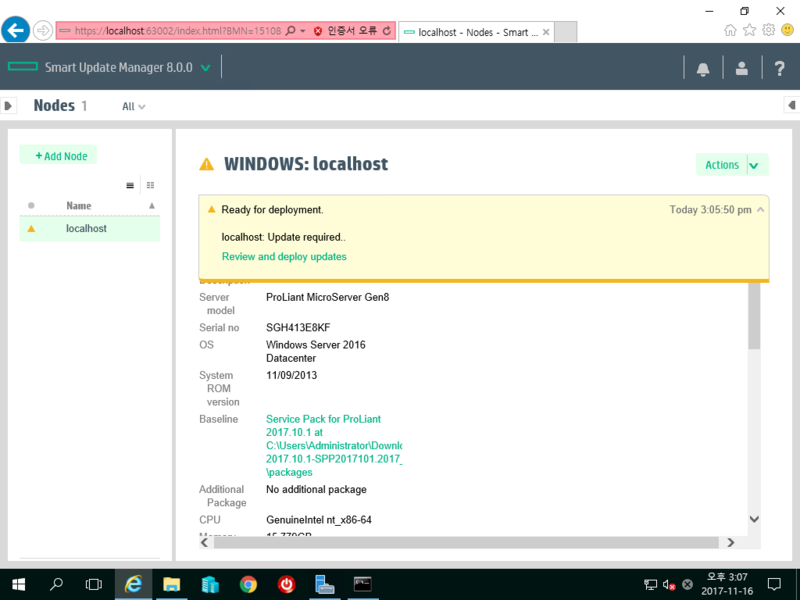 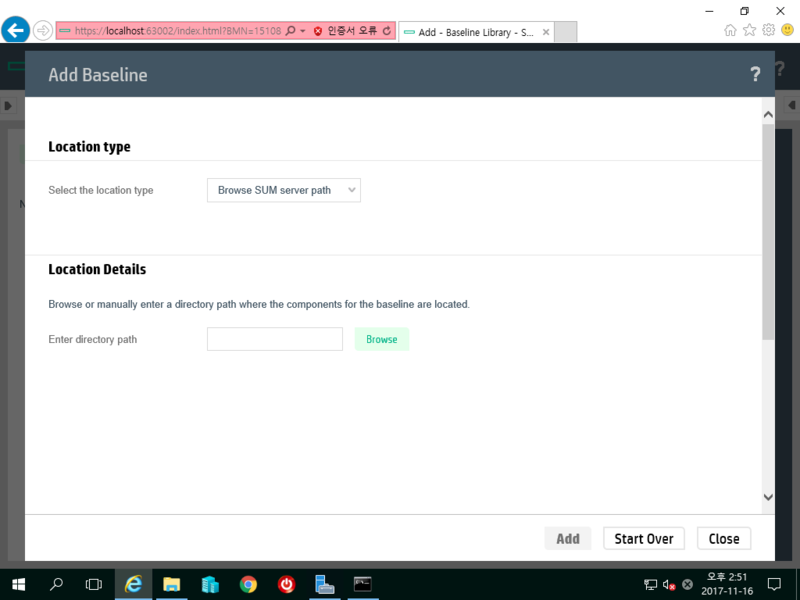 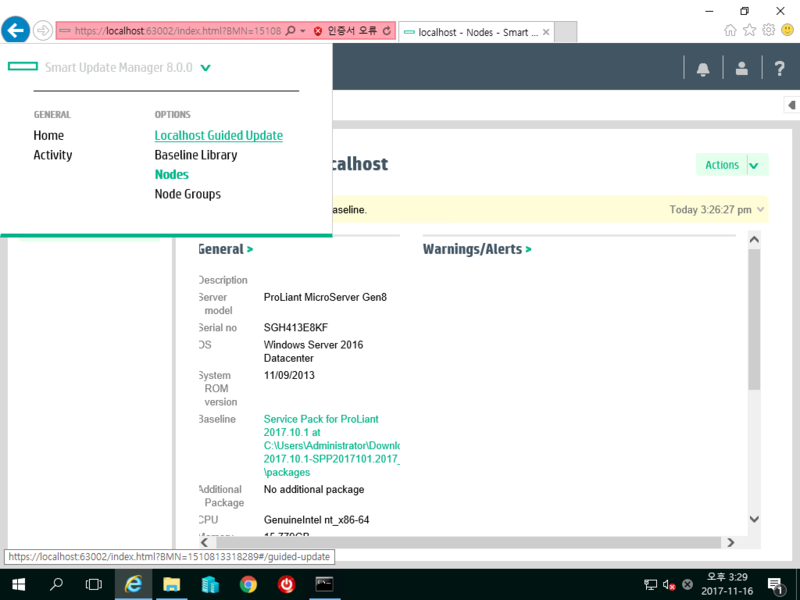 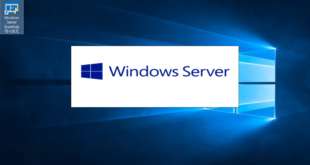 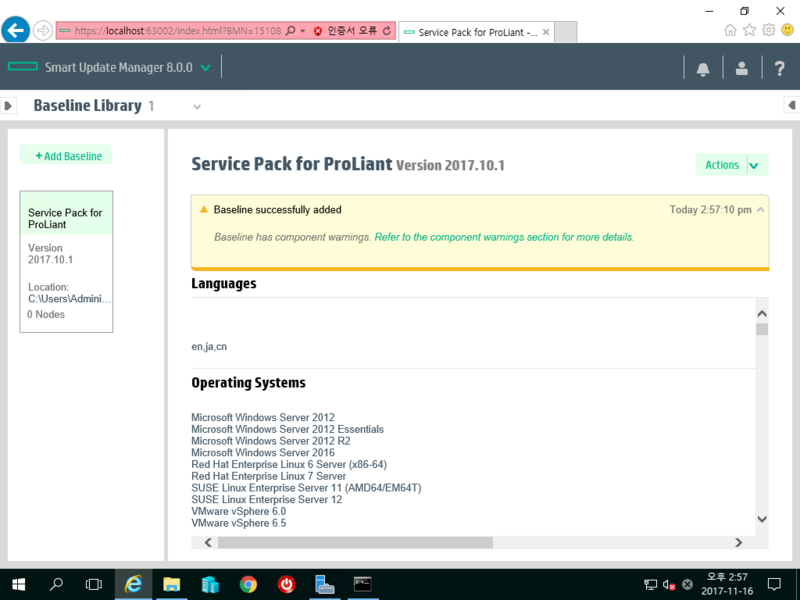 배포 준비가 되면(Ready for deployment) Review and deploy updates를 눌러 설치할 내역을 확인한다. 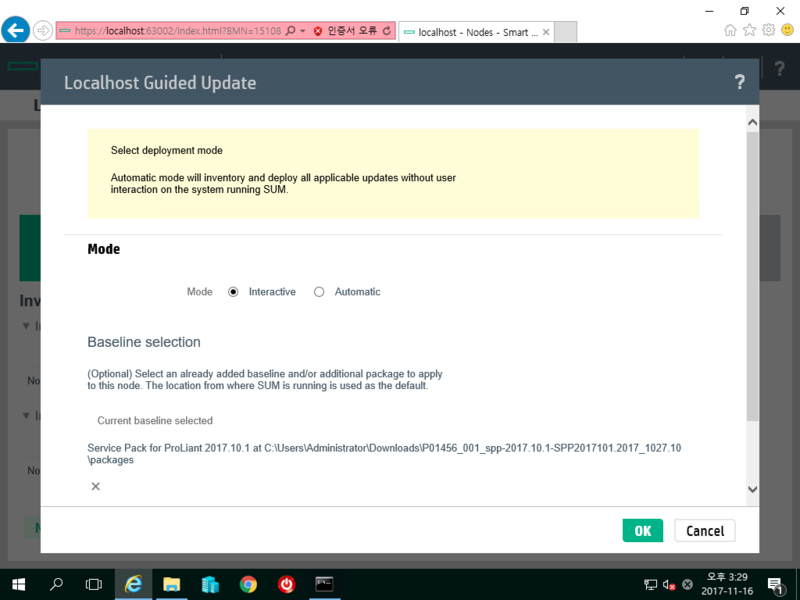 마치 윈도우 업데이트처럼 Critical Updates, Recommended Updates, Optional Updates 등이 보인다. 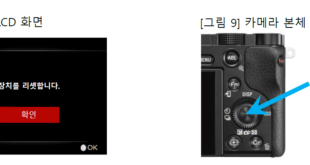 전체 크기 등을 확인한다. 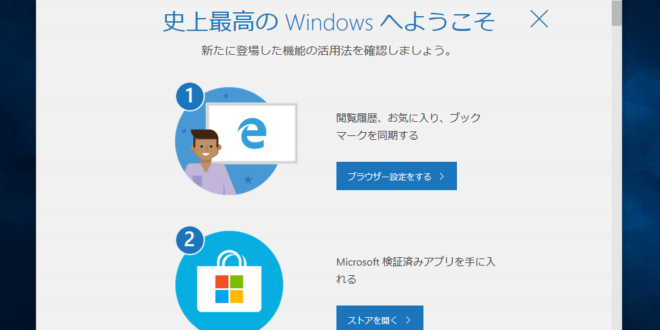 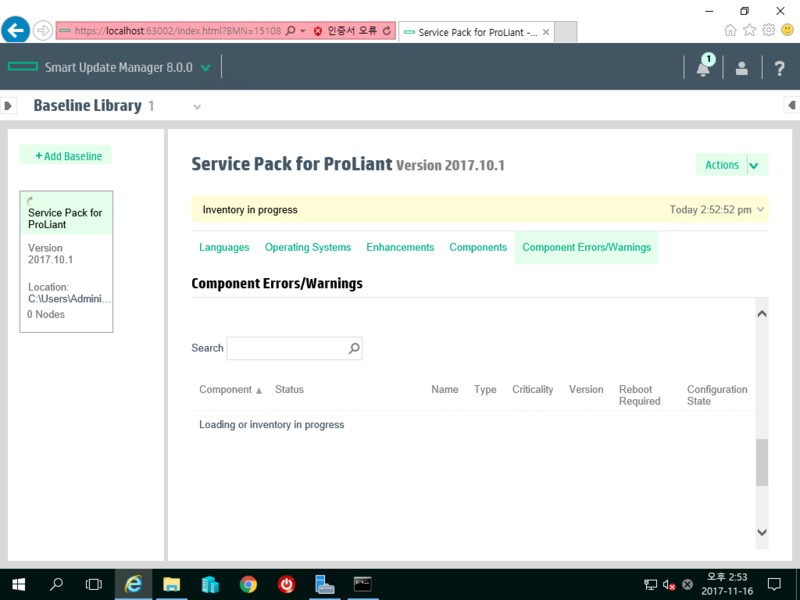 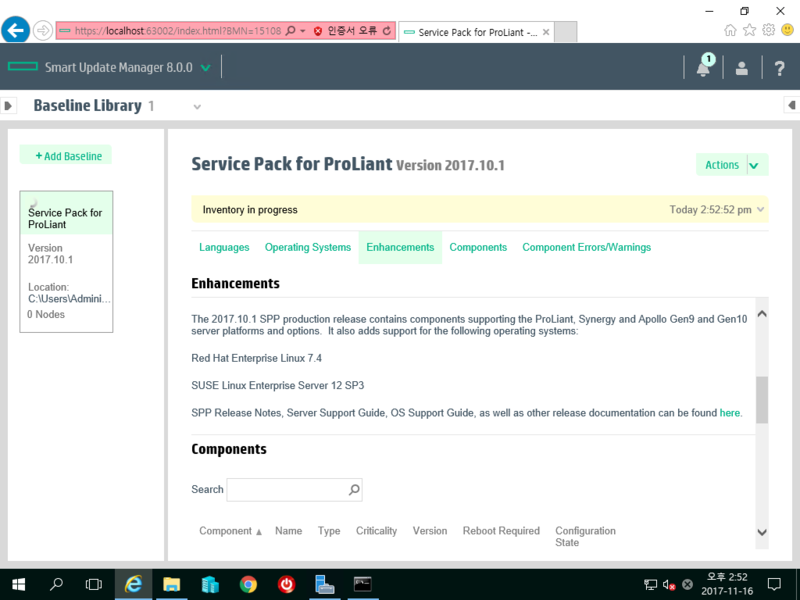 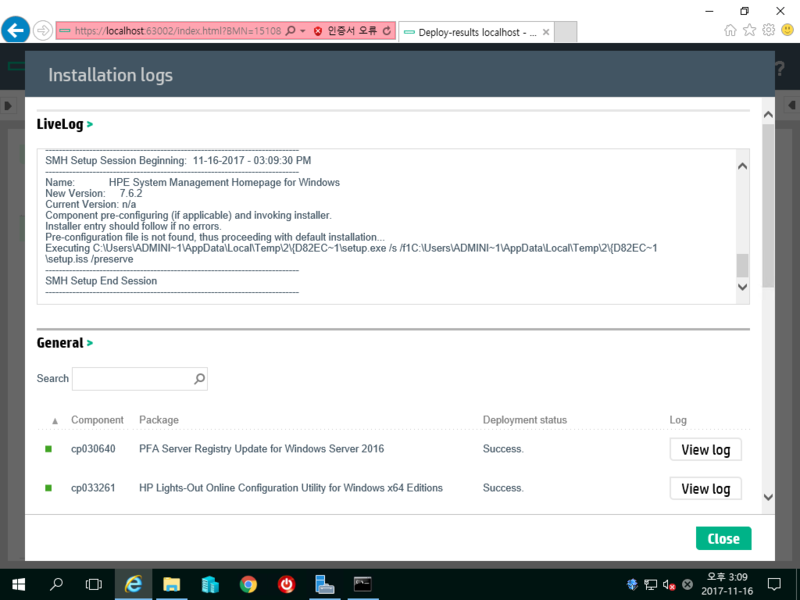 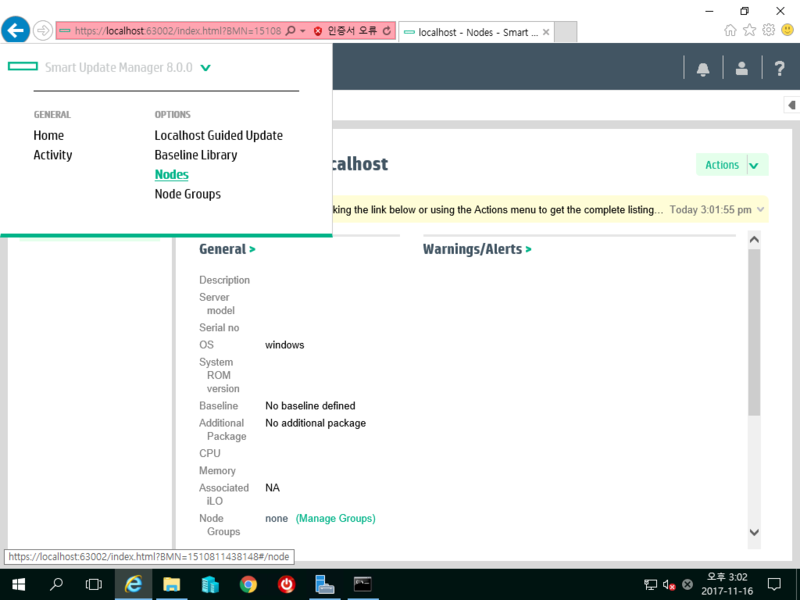 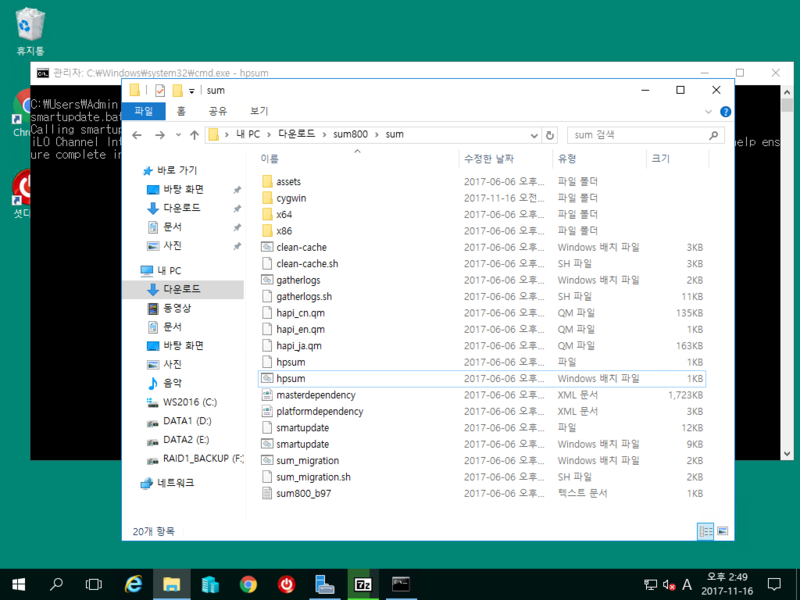 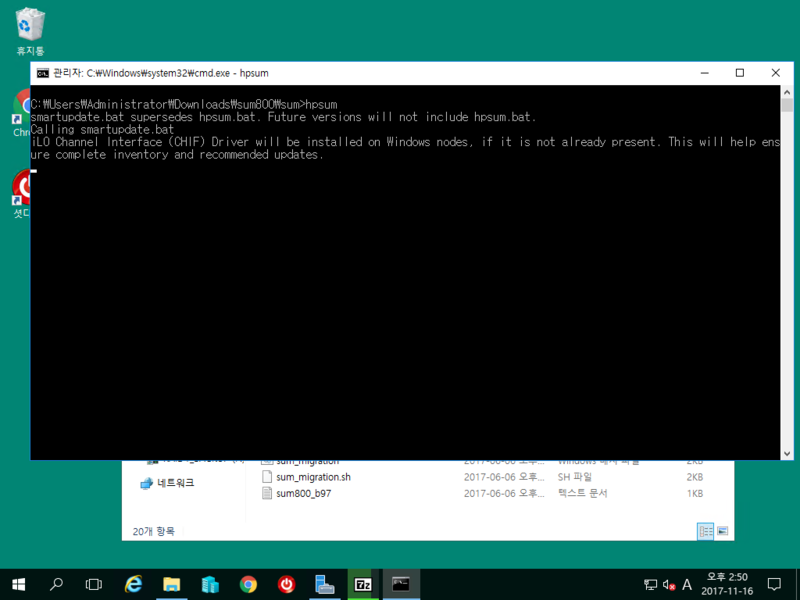 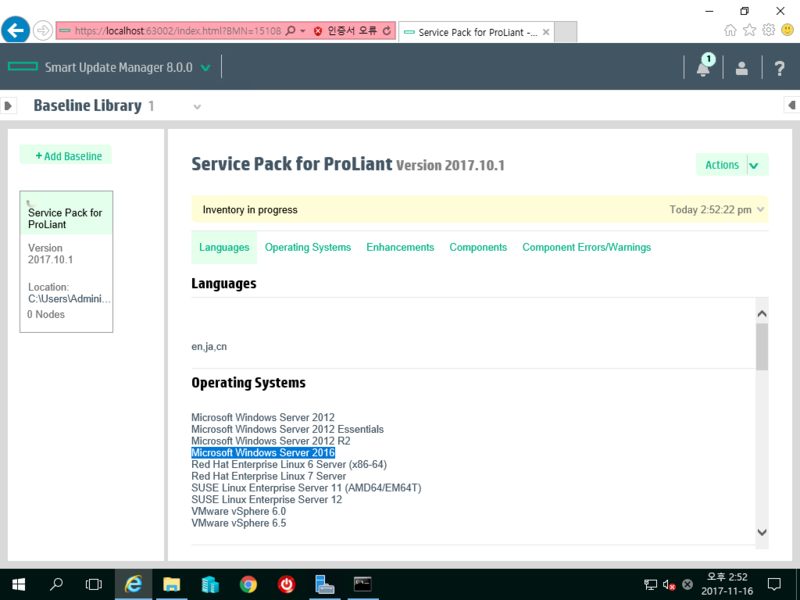 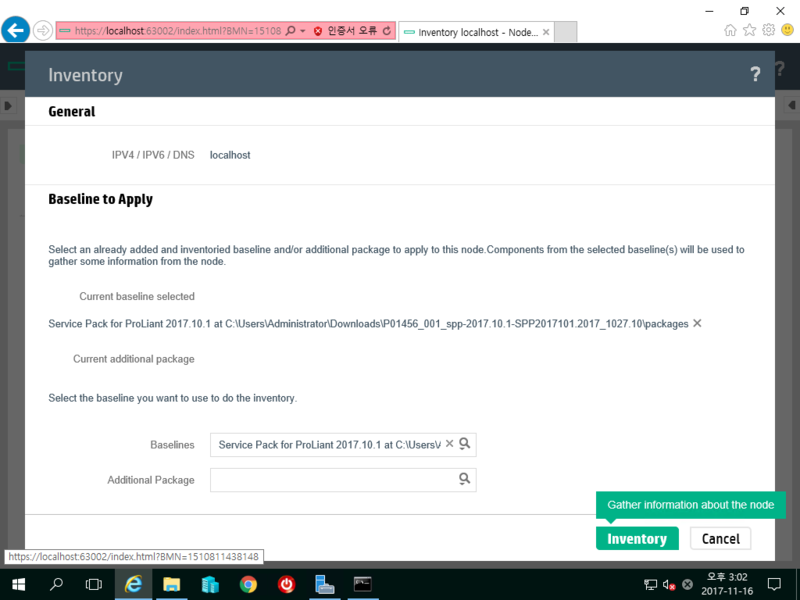 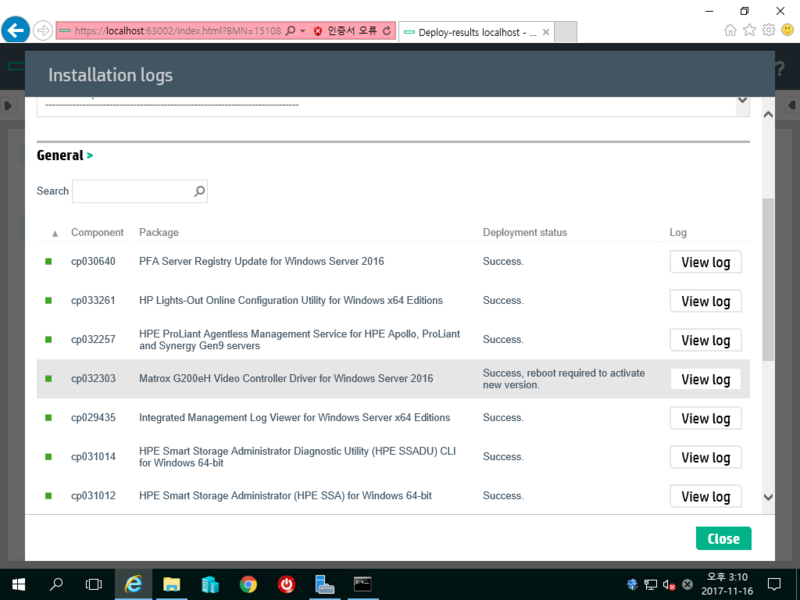 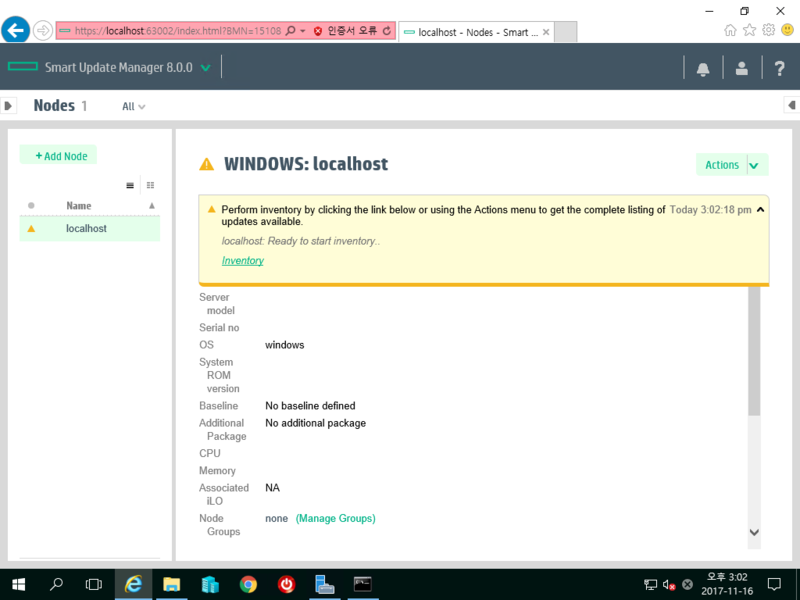 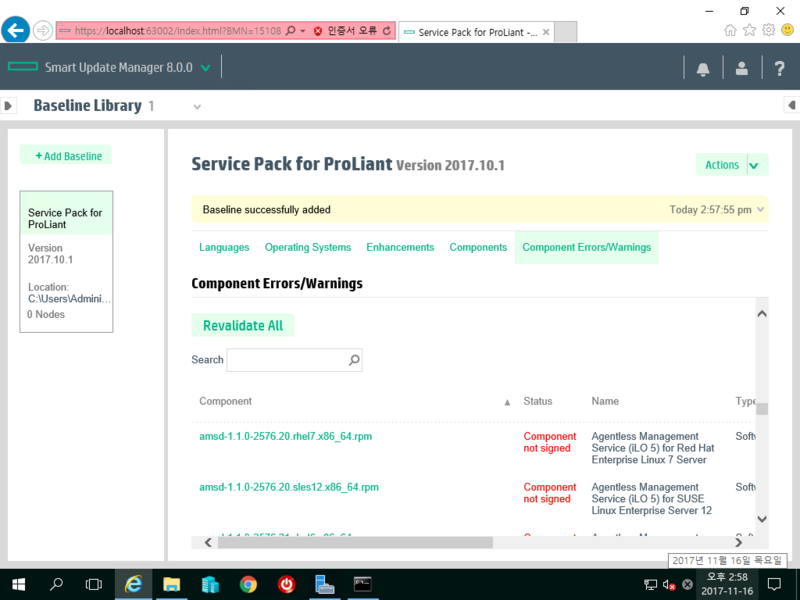 Reboot Options에서 Reboot system after installation 옵션을 매만지면 편하다. 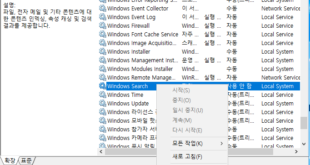 필요하다면 자동으로 재부팅되도록 If needed 선택. Deploy! 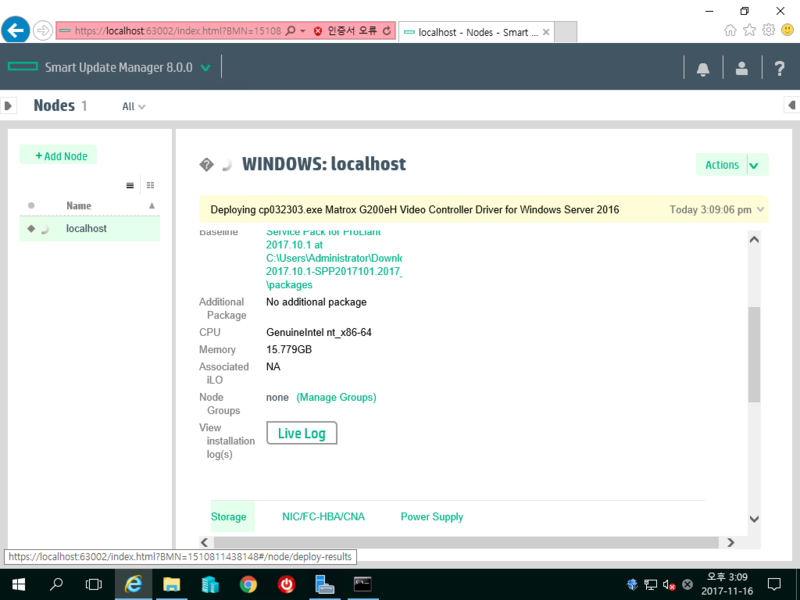 진행 상황을 Live Log를 통해 확인 가능. 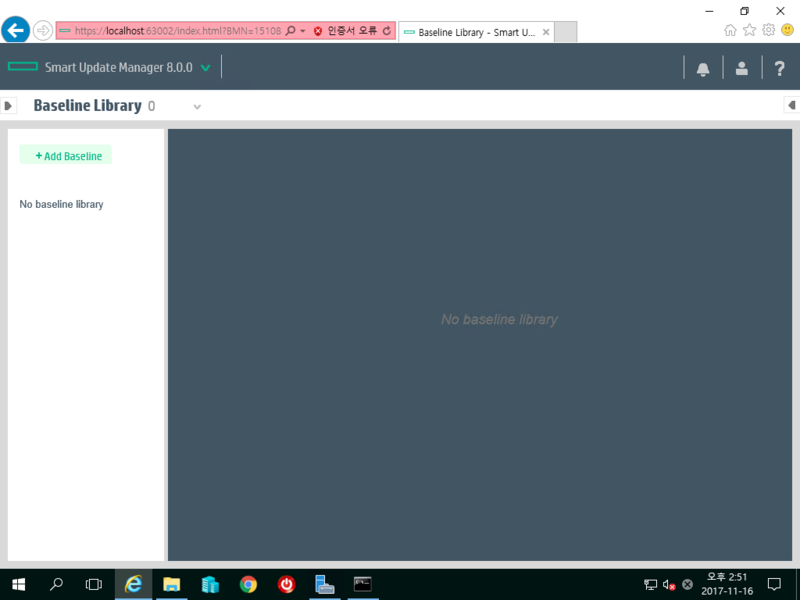 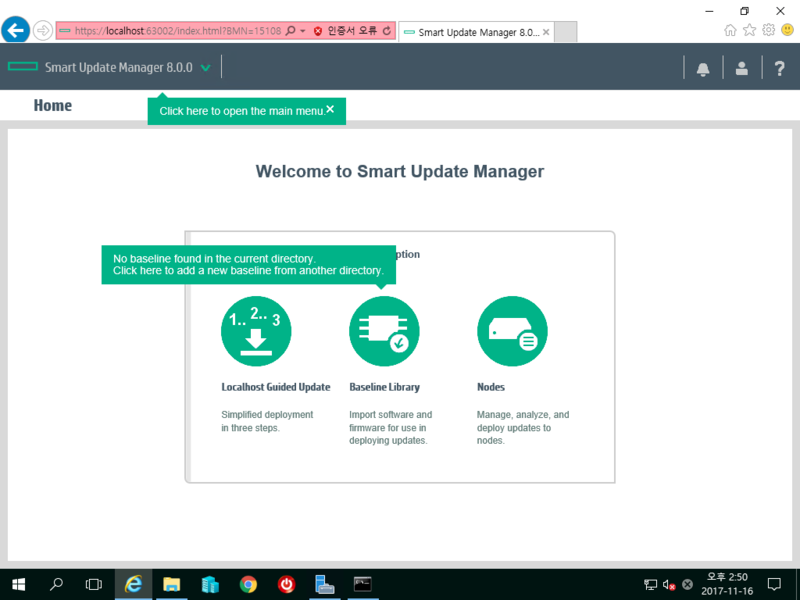 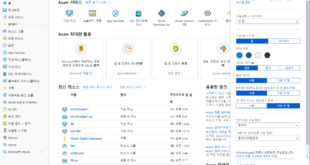 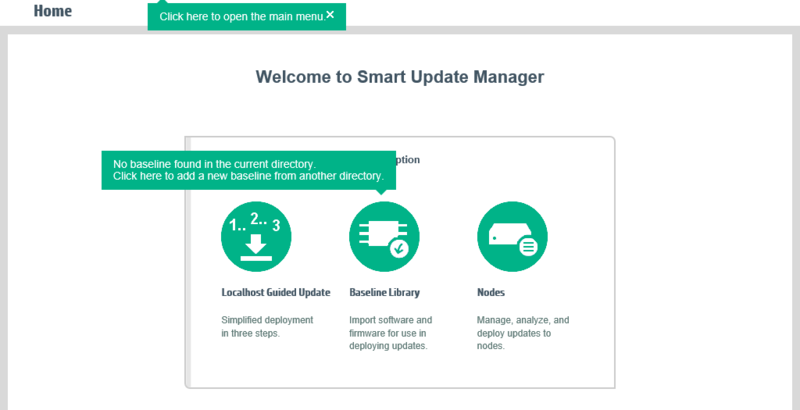 다시 Smart Update Manager (SUM) 을 실행해서 결과를 보자. 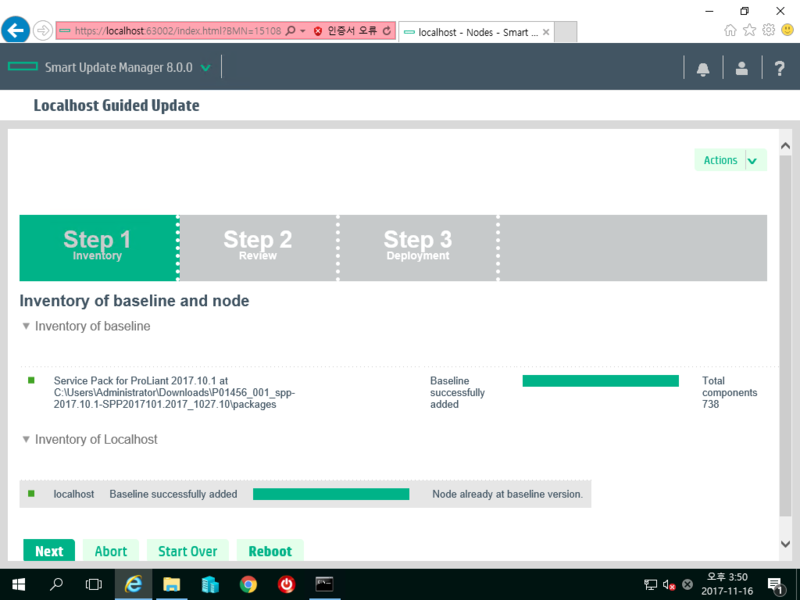 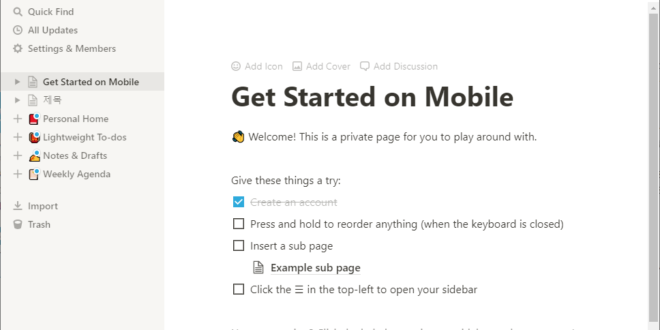 Node already at baseline version. 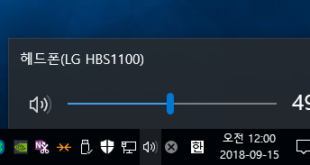 성공.